There’s a constant buzz of life at Yonge and Eglinton. From all-day traffic and never-ending construction, to the rumble of the subway and general hum of one of the city’s busiest neighborhoods. But all were put to shame by the sounds that emanated from neighboring SCS’s East Gym on Friday February 1, 2019. That day was Stuart House Day, an annual celebration of all things green. 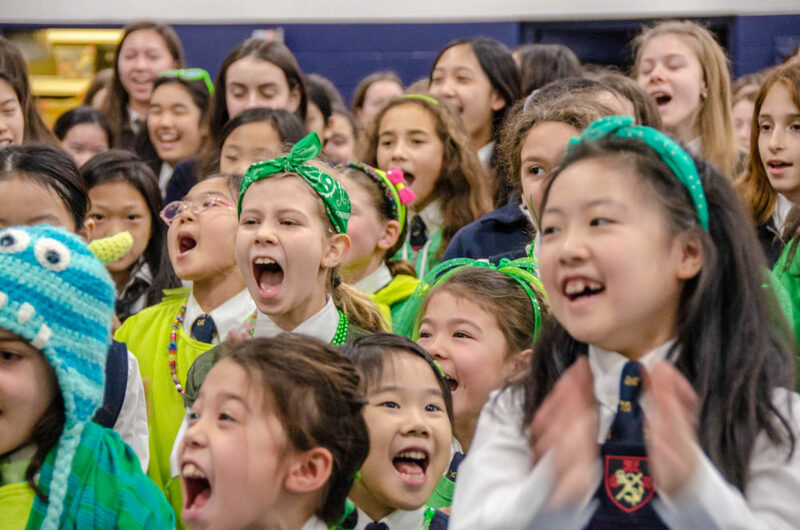 As the School headed for assembly decked out in everything from lime to forest, emerald to jade – with a few resplendent Grinches thrown in for good measure – there was a stir of excitement. A rising tide of anticipation with a dash of House pride as the greens prepared to show the rest of the School just how it’s done! Stuart is one of St. Clement’s four Houses: Tudor is red, Windsor is purple, York is yellow and Stuart – the House of the day – a verdant and vibrant green. 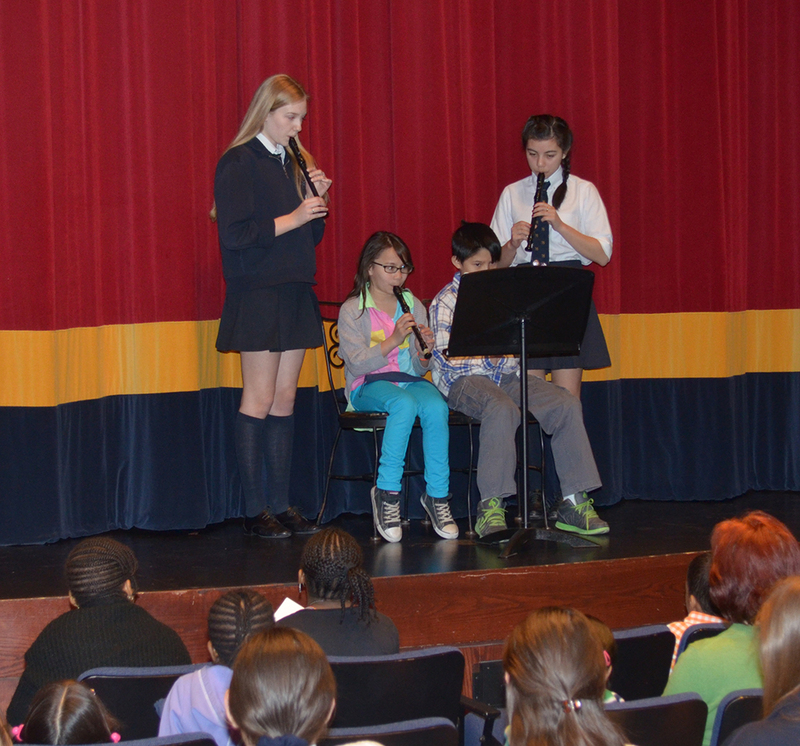 Once assembly was underway, the stir became a hum, then a buzz which soon rose to a cacophonous wave that rolled and roiled through the halls, up the stairs and into every corner of 21 St. Clements School. This was House pride at its SCS best with friendly but earnest competition between each House and all eyes firmly fixed on the year-end prize of House Cup champion for 2019.